Country Saloon Bela is situated is a picturesque village Bela, surrounded with a majestic mountain ridge of Mala Fatra, about 20 km far from Zilina, a county seat of this northern region of Slovakia. Its short distance to the most of the places of interest of Slovakia, sport and cultural spots in nearby destination designates it to be a starting point for all-season or seasonal activities and together with one's own preferences and opportunities to relax it shall satisfy the expectations of even the most demanding guests. 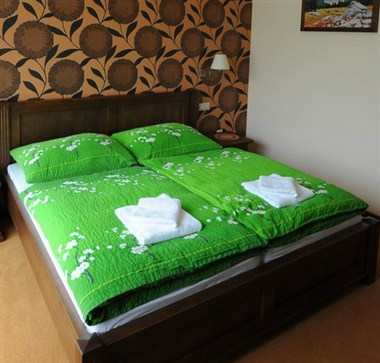 The hotel has capacity of 66 beds and has 30 double rooms and a suite. Each room has a balcony, respectively dormers and is equipped with sattelite TV, minibar and bathroom. The hotel is also equipped with a safety deposit box and room for skies, bicycles and other sport accessories. 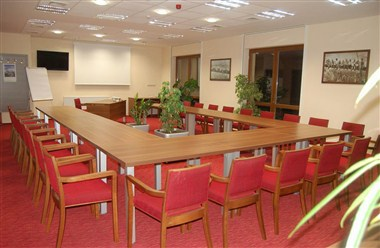 It also has an air conditioned conference room with capacity of 40 seats situated on the ground floor.